What are the Key Factors Needed to Maximize Penetration to the Target Tissue? For PBM to occur, light needs to reach the mitochondria of the damaged target tissue. Laser therapy is applied to the surface of the skin. The best clinical results are achieved when a sufficient amount of light (number of photons) reaches the target tissue. 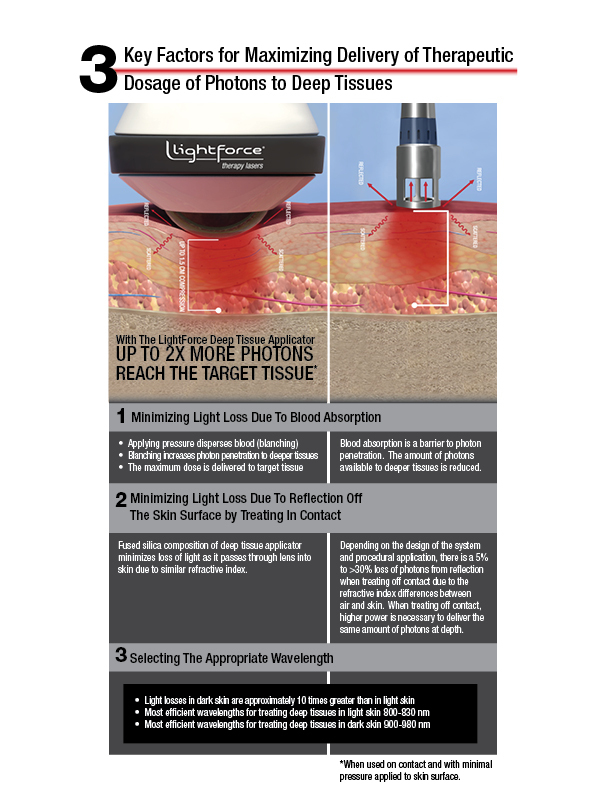 There are a number of factors that can help maximize the light that reaches the target tissue. These include: proper wavelength selection, sufficient laser power, reducing reflections, and minimizing absorption by molecules not involved in photobiomodulation.